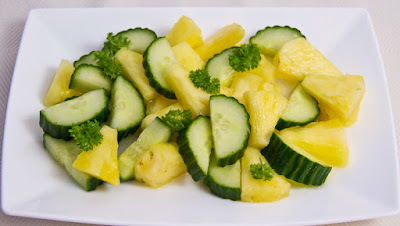 This perfectly refreshing Pineapple Salad is wonderfully easy to make and simply delicious! ~ Combine all ingredients and toss lightly to distribute the lime juice and zest evenly. ~ Season with salt and pepper if desired. ~ Serve immediately or keep chilled until ready to serve.